There’s nothing like getting paid to do something you love. The good news is, as an animal lover, opportunities abound for you to do just that. 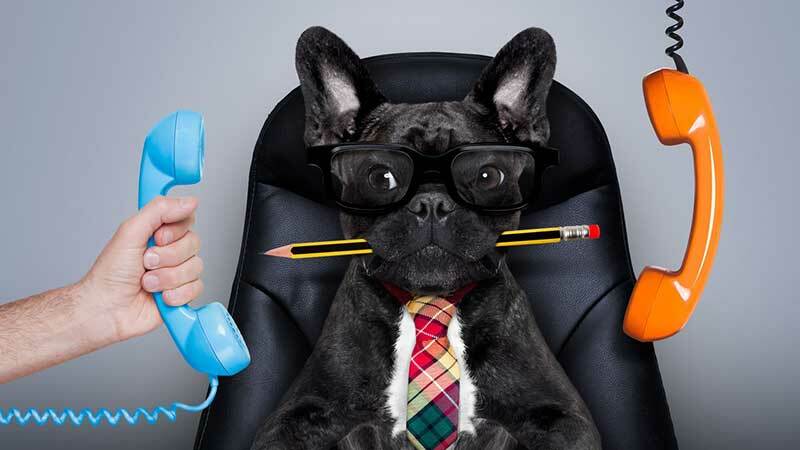 If you’re looking to start a home-based pet business but aren’t sure which doggie path to take, check out these five options. 1. Pooper Scooper. It’s a dirty job, but someone’s got to do it. And that’s the whole point. There are many people who will gladly pay for this service. Create a flyer that says something like, “Got Poop? I’ll Scoop!” Then hand them out to your neighbors, relatives and friends. If they don’t have a dog, chances are they know someone who does and will pass the information along. Another variation (if the yard doesn’t need cleaning up) is offering to clean kitty litter boxes, bird and pocket pet cages, and fish tanks/bowls/aquariums. 2. Pet Photographer. Why not combine your passion for photography with your love of animals? Practice on your own pets before offering your services to others. Once you have the techniques down (because getting pets to sit still is definitely a technique!) come up with some creative props and settings for different types of animals. Then think of something you can offer that’s different from other photographers. This idea may take some time to research and get in place, but the pay-off may be well worth it. 3. Pet Exercise. Are you looking to lose weight? How about getting paid to do it? Get in shape in no time while spending time with the animals you love. This isn’t limited to dog walking. Offer to play fetch in the backyard. Play with the cat. Or sit outside with a rabbit or guinea pig. Many pet owners desire to do these things with their pets but often just don’t have the time and have no problem paying someone to make sure their animals get proper care and exercise. 4. Pet Items Delivery. Some pet items can conveniently be picked up during weekly grocery shopping. Other items need a special run to the pet store. Why not contact potential customers and offer to make a weekly or bi-weekly run? Set aside specific days that you will make the necessary trip to purchase the items that customers need for their pets. Personally deliver each customer’s order, along with an itemized receipt. Charge a flat fee for each trip. If a run to more than one store is necessary, charge a fee per stop. You’ll find many people also tip for this service. It may take some time to develop your customer base, but once you do, the sky is the limit. The only thing you have to worry about is fitting everything in your vehicle! 5. Grooming. This is the only idea listed here that requires some professional training. There are various dog grooming schools, including some carefully monitored online courses that allow you to learn on your own. You’ll need to decide whether you want to handle only the shampooing and hair grooming or if you’ll add things like nail trimming and ear cleaning. Gain sufficient experience by grooming your family pets and take photos to use as samples when attracting new clients. There will never be a shortage of people looking for good, quality care for their pets. And because you love animals, you may just be the one to provide it.